Tungsten Network will work with BNP Paribas to offer e-invoicing linked receivables purchase and e-invoicing linked supply chain finance (e-SCF) to large corporates in the US and Canada. Through this collaboration, the duo say the corporates will now be able to receive an alternative working capital solution through the same technology provider they use for e-invoicing and accounts receivable activities. Prabhat Vira, president, Tungsten Network, says it is in a “position to offer a one-stop solution that brings together process efficiency and working capital optimisation”. According to Tungsten Network, it processes invoices for 70% of the FTSE 100 and 72% of the Fortune 500. It enables suppliers to submit tax compliant e-invoices in 48 countries. In three separate deals, BNP Paribas has been busy. Last month, Fenergo said its flagship Client Lifecycle Management (CLM) solution was selected by BNP Paribas “as part of its global transformation project”. In the same month, Janus Henderson Investors chose BNP Paribas Securities Services to assume responsibility for most of its back office; fund administration and fund accounting, middle office and custody functions in the US. 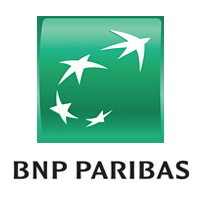 While in October, BNP Paribas ALM Treasury and EY completed a pilot demonstrating the use of blockchain to improve global internal treasury operations for the bank. Royal Bank of Canada is moving with the times with a series of useful innovations and launches. Spend time finding the right time to bring the cynics and the pessimists onto your journey.